Bloodhouse (who would later rename to Remedy and create the hype PC title Max Payne). Super Stardust, this time from Team 17, is best described as an updated version of Asteroids, with INCREDIBLE ultra-smooth 3D graphics! 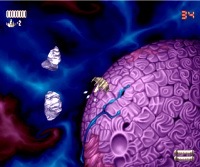 The aim of the game is to blast your way through the many asteroid-filled levels with your small starship. You can rotate the ship 360 degress and shoot at all angles. It's a little hard to describe in words, but if you played Asteroids then you know what this is all about. But the best part of the game is ofcourse the TUNNEL SEQUENCES, which you get to play after each "world" is cleared. This is the real stunning part of the game, and the graphics are so very impressing. The tempo is high at all times and the overall gameplay is great. The soundtrack consists of acid techno music, and fits the game very well although it can be a little monotonic at some stages. 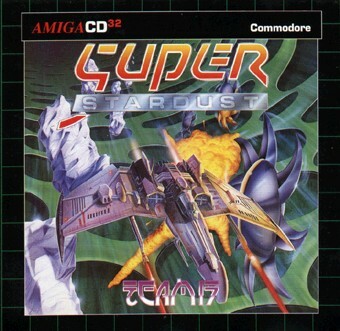 Super Stardust also exists as a floppy version, but the CD32 version is updated in many ways, so no shovelware here! For example, all music has been rewritten and is now delivered as high quality CDDA instead of 4-ch modules. The CD32 version also contains a rendered intro, and several rendered sequences which plays after each world has been completed. 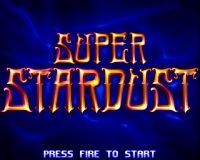 If you're just not looking for a game to impress your friends with, but a game with great gameplay and many hours of fun, Super Stardust is definitively the title you're after.